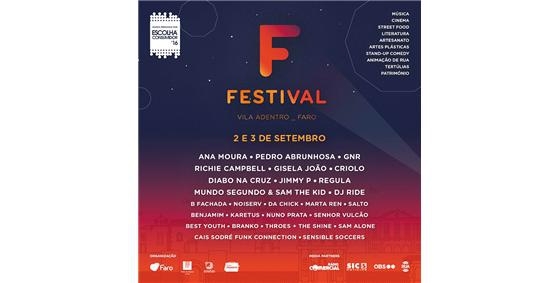 Vila Adentro, in Faro, plays host to the 3rd edition of F. Festival - one of the biggest summer festivals in the Algarve. The event features performances by Ana Moura, Pedro Abrunhosa, GNR, Richie Campbell, Creole, Gisela John, Jimmy P & World According to Sam the Kid and many others. In addition to the concerts, there will be a range of activities,stalls, street food, literature, cinema and more. This event is recognised by the Europe Festivals Association. For more information visit the website (in Portuguese) or the Facebook page.